Hardwood floor termite damage. Termites can fit through an opening in your foundation as small as 1/32nd of an inch. Termite swarmers on expansion joint captured April 3, 2018 by one of our inspectors. 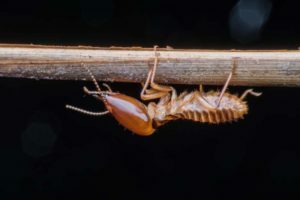 Have you seen any of these termite signs? Get a free termite inspection from the Pros!